Critic Mark Holborn has written that Butoh is defined by its very evasion of definition. A dance art form that started and developed in Japan after World War II, allegedly in response to the bombings of Hiroshima and Nagasaki, Butoh has spread to the United States and overseas, and continues to defy simple categorization. Unlike Hip Hop that also began as an underground movement but got quickly co-opted by corporate interest Concerts and molded for mass consumption, Butoh has remained true to its subversive roots. I recently witnessed what was described as a ‘Butoh-inspired’ performance in Seattle where Butoh has captured a following among a dedicated group of artists that have been evolving the form since the 90s. 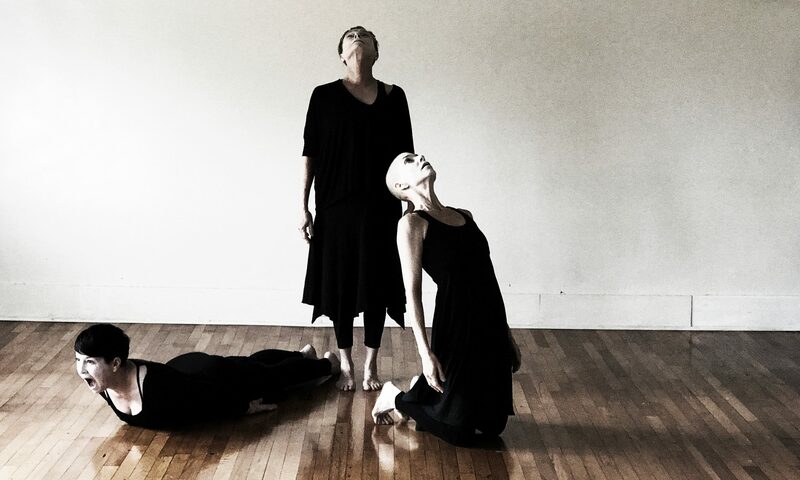 The production entitled 30/30 Concert was a two-day long performance that presented the work of four choreographers: Sheri Brown, Helen Thorsen, Diana Garcia-Snyder and Joan Laage, and featured a stellar lineup of Butoh dancers in and around the Seattle area. The slow, controlled movements and white-faced makeup that characterizes the form was still in use. Yet, I noted that these performances were ‘not your mother’s Butoh.’ Employing pioneering multimedia installations and fusing the form with modern dance sensibilities, there seemed a marked departure, an evolution from what had previously gone before. However, the iconoclastic underbelly remained, as well as the venturing into dangerous, uncharted territory where few dance forms would dare to tread. This, I suspect, is due at least in part by the organic structure and philosophical underpinnings of the form. Rather than mimicking a system of already devised steps, jumps, leaps and turns, Butoh is derived from the body discovering movement. As one enters into the discovery, bodies, minds, perceptions expand, and so necessarily, do the possibilities. It was precisely these possibilities, morphing into incredibility, which made the performances so thrilling. Take for instance the piece entitled, Divided by Zero, choreographed by Sheri Brown, who also danced in it, along with collaborators, Angela Martinelli, Kaoru Okumura, Alisa Popova, Douglas Ridings and Alan Sutherland. The work poses the premise, “What happens when mathematical impossibility becomes bodily possibility? When humans import the infinite into their finite beings, putting the ungraspable on display in their bodies? 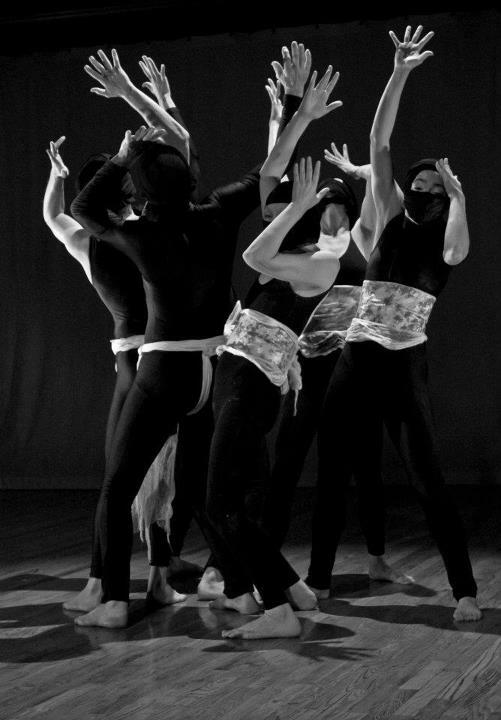 Brown, who is a math teacher, and her dance collaborators, created an eclectic work that commingled the trademark Butoh slow adagio movements with gongs, spoken words, and da Vinciesque perfected anatomical poses. In developing the piece, Brown was interested in the discovery of how dance can be considered a valid and integral investigation into mathematical/cultural frontiers. She sites mathematical breakthroughs worked out first on paper that led to engineering know-how in building the space shuttle and traveling to the moon. What mathematical suppositions and technological triumphs can be derived from dance when its thrust is perpetual discovery? Fastidious control and precision movement, some of which brought to mind equations and geometric calculations being carved through space, shattered my notions of what the body can and cannot do. Brown, a petite woman, at one point during the performance carried a grown man across her back. Breaking up the live performances, was the amazing short film, Scrap Life, choreographed by SU-EN from Sweden and featuring performers from the SU-EN Butoh Company. Filmed in a junkyard, dancers emerge from the rubbish, elegantly dressed, arms and hands moving in sublime and sacred phraseology. The junkyard setting seems pertinent, as Butoh is famous for being performed in unfathomable spaces, such as caves, or where life is absurd, dramatic or extreme. Although the Seattle Butoh community has not received as much press in Seattle as some other art forms, it was interesting to note the full house and enthusiastic reactions of their audience, as they have garnered a most remarkable following. What’s most palpable in this teeming and blossoming milieu is the driven devotion of the artists themselves that are not only dancing the form, but living it fiercely. 30/30 Concert was performed on June 22 and 23rd at Velocity Dance Center in Seattle, and was produced by DAIPANbutoh Collective, Last Leg and Danse Perdue.